Television show host and nutrition expert Dr. Oz and his daughter, Daphne Oz, are joining TODAY Food to share tips from his new book, "Food Can Fix It: The Superfood Switch to Fight Fat, Defy Aging, and Eat Your Way Healthy." Dr. Oz breaks down several easy ways to improve your health through diet. The dynamic duo give us the lowdown on the best foods and recipe ingredients that might help with a variety of health issues and show us how to make a vegetable broth that's healthy, satisfying and easy to make since it requires just one pot! They also share some ideas on how to make beauty products out of inexpensive ingredients you likely already have in your kitchen. Read on for their tips and also check out their advice on improving heart health, fighting inflammation and more. Beans: These lovely legumes are packed with vitamins, minerals and antioxidants. Try varieties like cannellini beans, navy beans, kidney beans, black beans, lentils and chickpeas. The best thing about beans is that there are so many ways to enjoy them. You can eat them hot or cold, puréed as a dip, in soups or tossed with salads. Boiled eggs: Whether you like them cooked soft or hard, boiled eggs are an excellent source of high-quality protein. They're also portable, which makes them great for breakfast or a snack on-the-go. 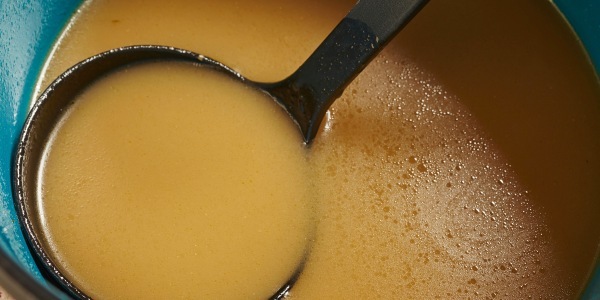 Broth: Filling up on broth is a great way to stave off hunger pangs. Watching what you eat can be extra challenging if you don't feel full. If you're not satisfied — even after a meal or snack — drink a cup of low-sodium chicken or vegetable broth to hold you over until your next meal. Providing your body with the necessary nutrients and staying hydrated can improve your energy levels throughout the day. Eye-opening drinks: Try not to rely on a jolt from a highly caffeinated beverage to keep you awake. Drinking a glass of water, tart cherry juice or a cup of green tea can give you a boost of energy when you're feeling tired. Smart snacks: You can't beat the combo of peanut butter and banana when it comes to a quick, healthy and revitalizing snack. The protein from peanuts and potassium from the bananas will give you stamina to help you avoid the afternoon energy slump. Encouraging restful sleep: Getting enough sleep is, of course, key to fighting fatigue. And one simple fruit might help: the banana! Bananas have high levels of tryptophan, which can relax you and help you sleep more deeply. You can eat a banana before bed, or try banana peel tea about an hour before bed. Just cut the ends off of a banana, cut it into three pieces (with the peel on), boil for 10 minutes, strain and serve. Stop paying for expensive, store-bought facial and body scrubs. You can make your own at home with a few easy ingredients ... for a lot less money. These all-natural scrubs will leave your skin feeling clean, refreshed and energized. Mix and match the following ingredients to make your own custom blend — it's really that easy! Combine equal parts of an exfoliant and a binder with a few drops of an essential oil and booster of your choice. Note that any scrubs made with perishable ingredients won't last forever but that's all the more reason to use them.